The 2017/18 Bay League Competition has begun. Here are the results of the first 2 weeks of the competition. As you can see from the results, the teams are playing brilliantly and are a credit to Torrisholme Primary School at this event. Well done, boys! Torrisholme win the B division of the Bay League competition!!!!! Congratulations to Joey Richardson and George Abel who came top of the B division. Well done to all the other teams who represented Torrisholme. They all played brilliantly and gained good league positions against tough competition. 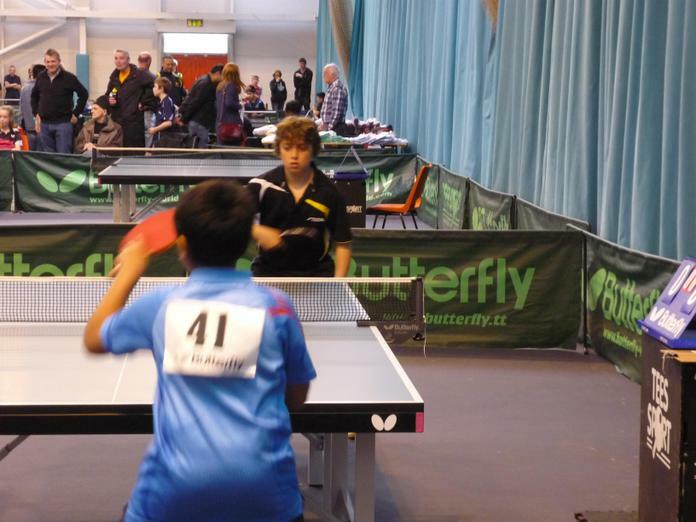 Today (25th February) was the last round of the Bay League Table Tennis competition. The A division and B division were playing for a good position in the league tables. The results wil be displayed on here soon. the team travelled to St Bead's school in Blackburn again on Saturday to take part in an individual competition. Every single child played brilliantly and should be extremely proud of themselves. Will Walker, Ruby Tague and Jessica Broster progressed into the semi-finals and what a performance they put in. There were some extremely tense moments in all their games and the result could've gone either way. Jessica Broster progressed into the final of the girls under 11 and brought the runners-up trophy back to Torrisholme! An outstanding display from every single member of the Torrisholme team. You should be extremely proud of yourselves, well done. There are two Table Tennis sessions each week: one on Wednesday, with Miss Stalker, the other on Friday, with Ms Thomas. Keep an eye on this page to see who is leading the league tables. Friday ladder - Freddie top. Friday ladder - well done Joey. Thursday ladder 5.5.16. All change; well done Sam! Friday ladder - well done Thomas and Ciara! Friday table tennis ladder - well done Freddie. Big moves for Thomas and Alex. First new Thursday ladder - all children won matches so it was very hard to set up. Plenty of time to move up in future weeks. First Friday ladder - well done Joey! Thank you to all the Year 6 children who attended the 'breakfast sandwich' tournament last week. A very close tournament was won by Ryan Cochrane. Well done to all who took part and thank you to all Year 6s for their fine efforts over the last couple of years - you will be missed. Table tennis next Thursday (24th March) is ONLY for Year 6 children as we are holding a mini-tournament to say thank you to them for all their efforts over the past couple of years. Next week, Wednesday (23rd march) table tennis is only for the Y5 children who usually attend on a Wednesday. There is obviously no Friday (25th March) table tennis next week as school is closed. From w.b. 28.3.15, table tennis is only on Thursday and Friday - please check your child's letter to see which day they have been invited. Final Thursday ladder with Y6 children on. Final Wednesday ladder with Y6 children on. Well done Dillon Ellis - our Wednesday champion. Final Bay League percentages - well done to all! Thursday ladder - many fluctuations this morning as children could challenge whoever they wanted! Well done to all the children who attended the Lancashire individual championships on Saturday. Sam Hayward and Will Walker reached the semi-finals, while Lexie Ball reached the quarter-finals. Well done to Jake Lloyd, Ruby Tague, Ciara McCahon, Will Johnson, Ben Dickson and Joe Thompson who played well and represented Torrisholme School brilliantly. 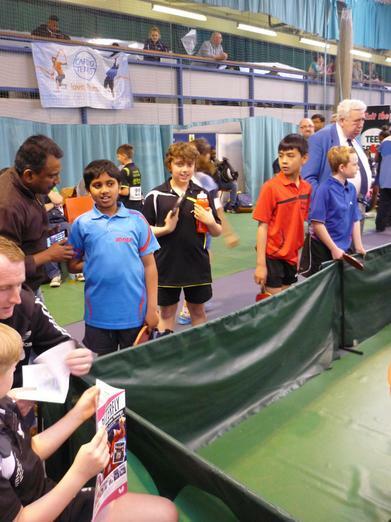 Good luck to all these children who are playing in the Lancashire individual championships on 6th February. Will Walker, Sam Hayward, Joe Thompson, Jake Lloyd, Ben Dickson, Will Johnson, Ruby Tague, Lexie Ball, Ciara McCahon. Wednesday table tennis club in action. Torrisholme School only - Bay League stats up to week 3. Official Bay League stats - week 3. Well done to all on Saturday - here is the latest Bay League table and percentages. Some children have 2 scores so add them together to find their total win/loss ratio from the 2 events so far. All table tennis clubs are now cancelled until wb 5th January. Have a nice Christmas. The next Bay League event is on Saturday December 12th at Dallam High School. Teams remain as picked BEFORE the last Bay League event. Although rankings are fluid, we cannot change the teams, apart from for illness. This event is definitely ON - see you at Dallam High at 9:30am. There is NO table tennis on Thursday 10th December due to the Reception nativity show. A great effort by all who played saw the boys A team finish 2nd and the boys B team finish 3rd in the Lancashire championships. The girls, making their debut in this event, were unlucky to lose on set countback to Greatwood B team. Well done all! Please return your letters as soon as possible. 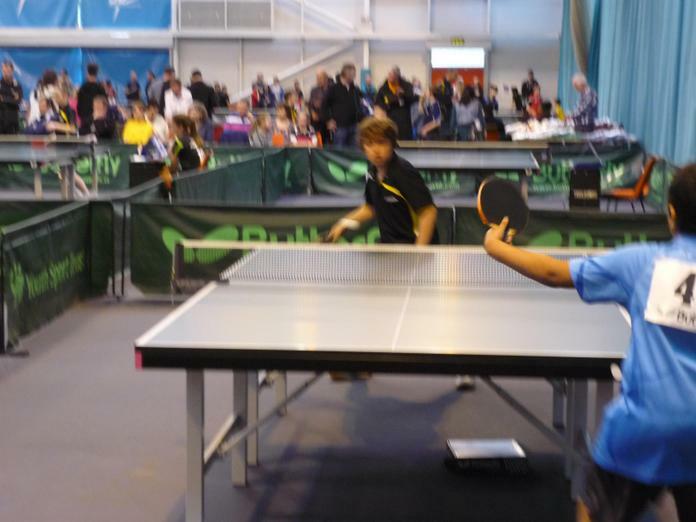 Saturday November 14th - Lancashire table tennis championships - A team, B team, Girls' team - all to be confirmed. Saturday 12th December - Bay League round 2. Teams as originally picked for round 1. Good start by all at the Bay League - here are the results and current league table. Torrisholme 5: Ashton Pinington, Harry Holroyd Max Hustwick. I will shortly be picking the team for the Lancashire Championships on Saturday14th November. Hopefully this will be the first step on our journey to a 3rd successive National Championships. With only Will Walker and Sam Hayward assured of a place in the team, competition for places is hotting up. The more practise you can do the better - remember, 5:30pm-6:30pm every Thursday at Morecambe High School is the place to be! Great win for the A team - well done boys! Table tennis club for Y5/6 begins on Wednesday 16th September and Thursday 17th September. The group will be split over two days to accommodate more players. Once all the slips are returned, I will confirm which day your child is attending on. Well done to Felix Waller, Will Walker, Sam Hayward and Jamie Holmes who beat Great Wood Y4 team 7-1 last night. This was an encouraging performance and hopefully the boys will keep practising over the summer! 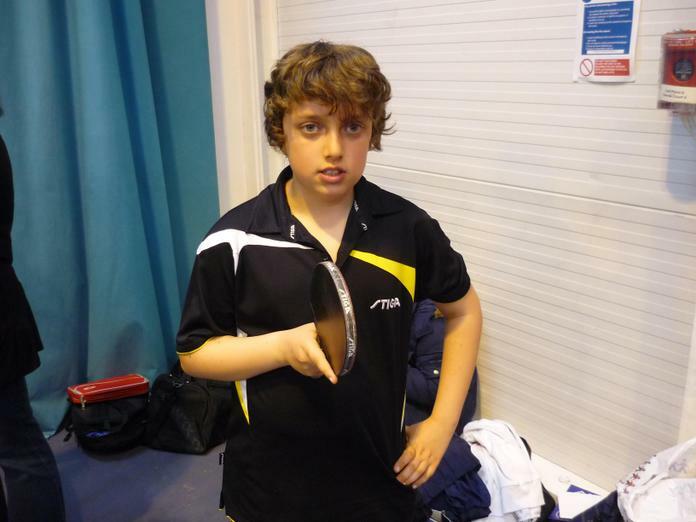 Well done to Matthew Westworth who won the Torrisholem table tennis championships with victory over Felix Waller in the final. He then went on to inflict a first defeat on Mr Gittins! We shall certainly miss Matthew next year! There are still places left in the school table tennis championships to be played at Torrisholme School - please return your letters asap! Well done to Toby Illingworth, Felix Waller, Jamie Holmes, Hayden Mills, Josh Collins and Lexie Ball (on debut), who played really well in losing a close match to Great Wood girls A team. 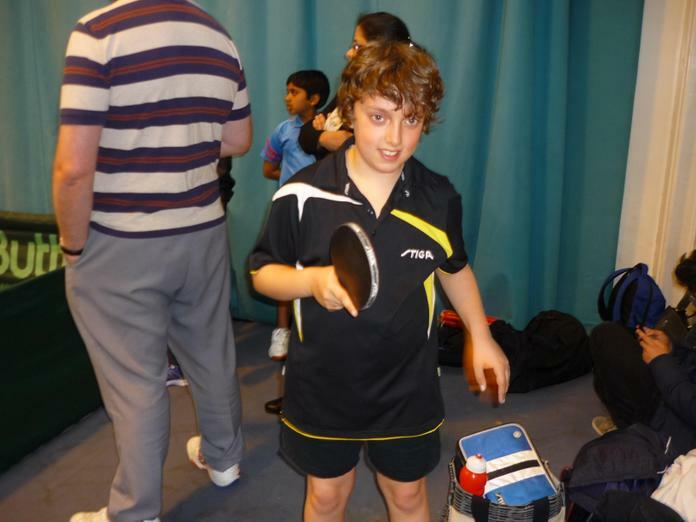 Well done Matthew - 2 wins and 2 defeats at the National Individual Championships. Torrisholme bow out of the national finals but leave with their heads held high. Well done boys! Well done to Torrisholme A for another Bay League victory. The B and C teams finished high up the table and the D team improved as the tournament progressed. Well done to all who took part. 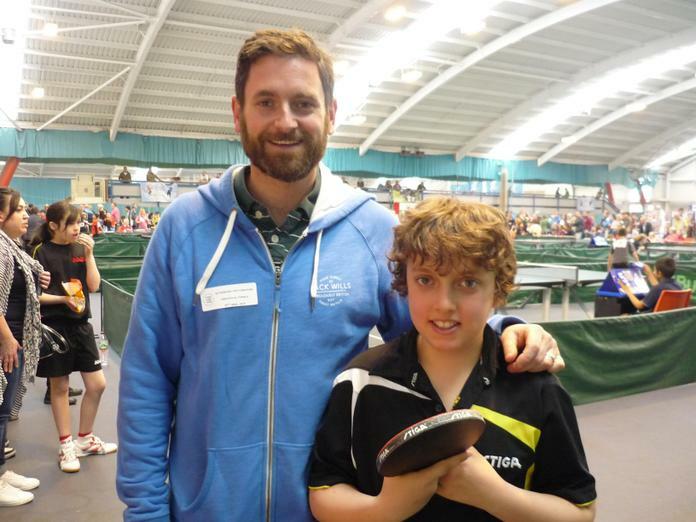 Special congratulations to Matthew who won 68 out of 68 sets. Incredible. 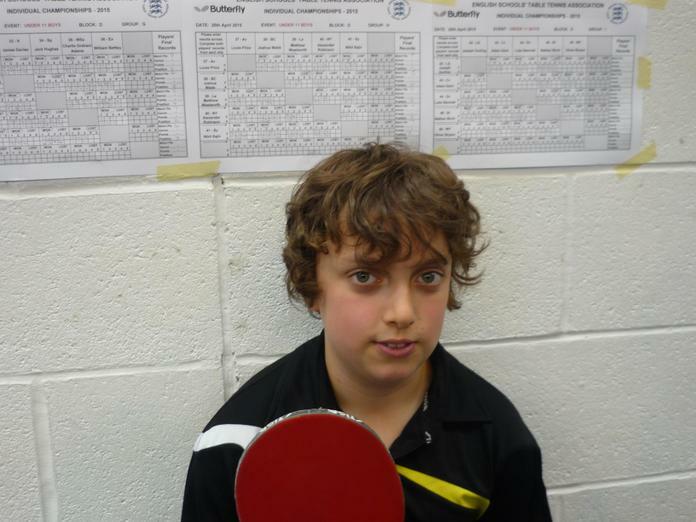 Check out number 179 in the boys U13 national rankings - he's one of Torrisholme's own. Well done to Matthew, Jamie M, Harvey, Josh A, Felix and Mr Gittins who won a 5-4 thriller against Great Wood A in a friendly match on 24th February. Well done to Toby, Josh C, Jamie H and Hayden who lost a close match against Great Wood girls A. Toby and Matthew won both their matches - excellent work boys. Torrisholme has a champion - well done Matthew! Well done to Matthew Westworth who became Torrisholme's first ever County champion with a stunning victory in the singles on Saturday. Matthew dropped one set in 5 matches and won the final in straight sets to emerge as the champion. 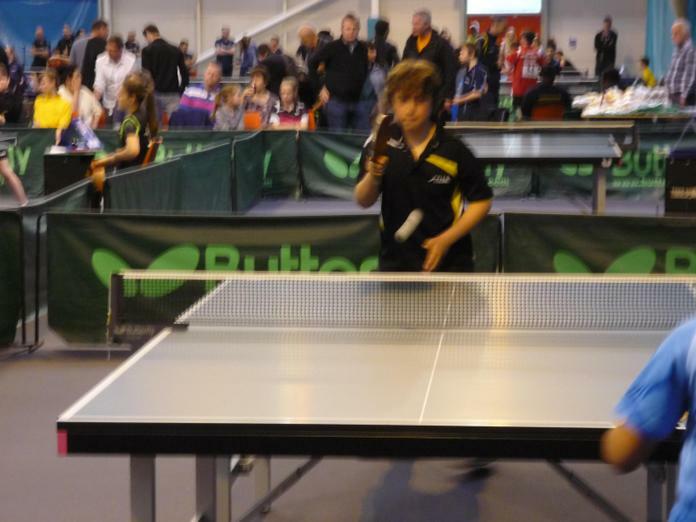 Well done also to Josh Allison, who reached the semi-finals, and Harvey O'Donnell who reached the quarter finals. Grantham - here we come!! Torrisholme qualify for Nationals again! Matthew STILL unbeaten - pecentages on the up for the others. 1 round to go - can Torrisholme win it again? Matthew still unbeaten - all others much improved; here are the Bay League stats for 13.12.14. Check out the stats from the first day of the 2014/15 Bay League. 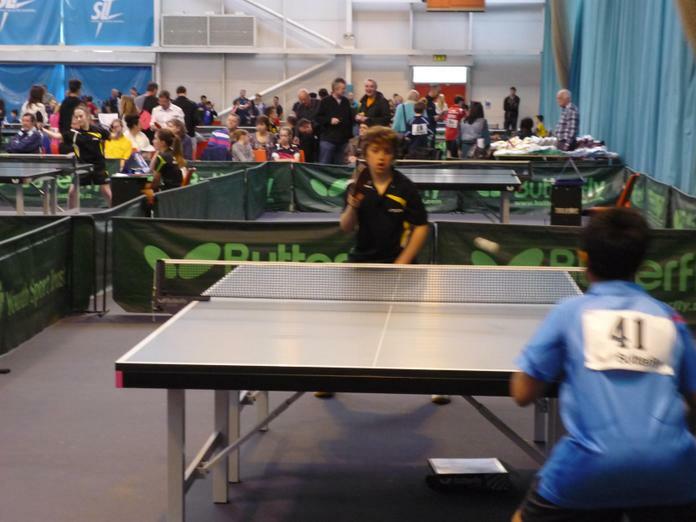 Torrisholme’s great table tennis adventure came to an end at Grantham with 3 narrow defeats against some of the country’s best young players in the last 16 of the National tournament. An exciting first match against Bradford Grammar School saw Torrisholme on the end of 3 five set defeats. 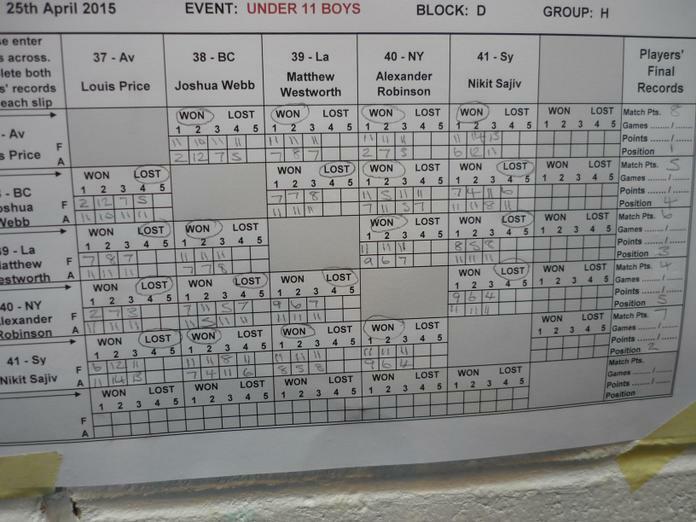 Lucas, Matthew and Will each won a match, leading to a 5-3 defeat. Against Kingston-Upon-Hull, Torrisholme expected a heavy defeat. However, great performances from all the boys, especially Lucas and Matthew who won 2 and 1 match respectively, saw Torrisholme again suffer a 5-3 defeat. In the last match, with the boys naturally exhibiting signs of tiredness, Lucas and Matthew were again victorious in a 6-2 defeat. Lucas left the tournament as the strongest number 4 player, having defeated the other three number 4s, as well as a number 3, on his way to a record of: played 6, won 4. Matthew won 3 of his matches, Will won 1 and Bradley, although he battled hard, didn’t manage to record a victory. All the boys played with talent, spirit and sportsmanship and can be extremely proud of their efforts this year. An unbelievably tense morning’s table tennis in Blackburn ended with Torrisholme Primary School being crowned Lancashire School’s Champions for the very first time. The team of Lucas Pinington, Matthew Westworth, Bradley Wilkinson and Will Silverwood travelled to Blackburn more in hope than expectation, knowing that great rivals Greatwood would need to be beaten for the first time ever. In the first match, against Greatwood B, all players performed brilliantly with an 8-0 victory setting up the day nicely. The four boys knew the big test was yet to come. Against Greatwood A, a great start saw both Will and Bradley defeat their opposite numbers, both of whom they lost to the last time out. Will took apart the Greatwood number 1 with a great display of attacking hitting. Bradley followed suit as his mighty forehand was too much for the Greatwood number 2. Lucas played a great game against the Greatwood number 3 and was unlucky to lose it in 3 tight sets. The game of the morning so far saw Matthew win a ding-dong battle 11-9 in the fifth set against the Greatwood 4, leaving Torrisholme 3-1 up after the first round of matches. Will followed this with a tight win against Greatwood 3, leaving Torrisholme just one game from victory. Bradley lost an incredible game against Greatwood 1, leaving the score 4-2 going into the last two games. Pressure was on Lucas as Matthew was definitely the underdog against Finn, the Greatwood 2. Lucas played really well and was very unlucky to lose the second set incredibly 18-16. Meanwhile, on the other table, Matthew had stormed into a 2-0 lead, only for Finn to mount a comeback. Matthew kept his nerve and converted his 3rd match point to send the Torrisholme faithful into raptures. Lucas battled hard to the end and was again unlucky to lose. A 5-3 victory for the boys in blue sees them progress to the Northern finals on January 18th. What a proud day for all involved! !